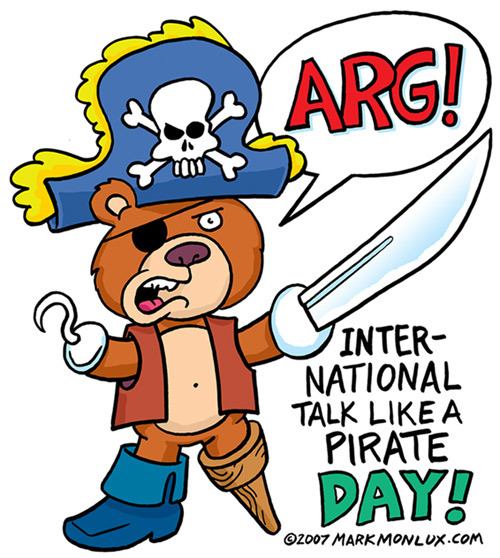 Today is September 19th, and if you haven’t figured it out, its International Talk Like A Pirate Day! For anyone looking to get into the holiday spirit, I have a link to the Official Talk Like A Pirate Day Site with a full how-to and ideas guide for you and your friends! They also have a lot of free games and online quizzes you can do to find out your Pirate name and ship name! I have created an entire Pinterest board dedicated to inspiration for future Talk Like A Pirate Day’s to come! If nothing else, enjoy some Captain Morgan on this fine holiday Monday!